The dog downstairs is barking again. It’s 7am, I’m trying to meditate and the freaking, F@#$*&$#, #@%&#*@ DOG won’t stop! Ok, silence, maybe he’s stopped. I settle in, quiet breath, quiet mind, quiet breath, quiet m@#&#*&@^#&@##^@& BARKING! I breath. I get up, deciding to take action, I turn on my iphone recorder and start recording the barking, planning to play it back late at night with very loud speakers for the neighbor. It stops. I’m leaning over the floor, walking around with my cell phone near the floor as if I’m scanning for barks. There, I heard one, I start recording again, it continues loud and strong, now I’m enjoying the barks, what a moment ago I was hating, I’m now gleefully enjoying. 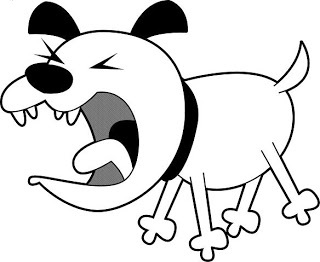 Oh, @#*#&^#&, it stopped, now I can’t get my freaking recording, stupid dog, why won’t you start barking again! Bark damn it! It starts to bark and I straighten up and look at myself, upset when it barks, now mad when it stops. I’m just like the stupid dog downstairs, chasing its tail, barking at shadows and no ability to find peace in the moment, barking or not. I sit back down to meditate, slightly chastened, but still a bit edgy from the barking. There is silence, ahh, now this is what I’m trying for…it starts back up, I breath, it barks, I breath, it barks, I breath, it stops, I breath, I breath. There is no cosmic insight, no great realization. Only the continual reminder that years of practice and intent mean nothing when anger floods over us and we lose our simple focus on the breath. Thich Nhat Hanh writes about sitting down to meditate and using the simple mantra with the breath, inhale Calming, exhale Smiling, inhale Present moment, exhale Wonderful moment. But sometimes those moments don’t seem that wonderful or calming. We try and get up and fix whatever sound or irritation is annoying us, from the buzz of a machine, the drip of water, the uncomfortable chair, or the barking of a dog. The practice is not to steel ourselves like a rod and “tough our way through it”, but rather to soften to the irritation, to the sound, to the annoyance. I’m annoyed, I’m mad, I’m angry, I’m upset, with each breath we acknowledge our response and ever so gently soften and allow a little more space between the annoyance and our true mind. For now, the neighbor’s dog is not going to stop barking and I wish I could say that it doesn’t bother me, that I’m beyond that. But it’s not true. It really irritates me. But that’s my little irritation, a minor one, a harmless one and an unimportant one. So I’ll remember to breath, to try and listen to the dog bark as I would a call from a meditation bell trying to call me back to practice.